Johnny Cash's Folsom Prison Performance: 50 Years Later It has been 50 years since Cash recorded his legendary live album. At Folsom Prison boosted his then-flagging career and highlighted his efforts to reform the nation's penal system. Johnny Cash in 1968. His album At Folsom Prison, recorded that year in a California penitentiary, rebooted his career and became a critical favorite. "Hello, I'm Johnny Cash." Those words were uttered to wild applause in the cafeteria of Folsom Prison, a maximum security facility northeast of Sacramento, Calif. on Jan. 13, 1968. Johnny Cash played a lot of prison concerts during his career, though he never did hard time himself. His daughter Tara Cash Schwoebel says her father's interest in prisons went back to his days serving in the U.S. Air Force in Germany in the early 1950s. That's when he saw the noir crime drama Inside the Walls of Folsom Prison. "I think that's where all of this kind of grew from," Schwoebel says. "He was just moved by the film." Cash wrote the song "Folsom Prison Blues" in 1955; it was his first big hit. But by 1968, he hadn't had a hit in several years. He'd become notorious for missing concert dates, and because of an addiction to prescription pills, he was usually out of it when he did show up. When he arranged the date at Folsom, Cash at least knew he'd have a captive audience. "One thing he liked about playing prisons: If he did something the audience didn't like, they couldn't leave," W.S. "Fluke" Holland, Cash's drummer at the time, says. Holland didn't expect much would come of the two sessions the band played that day. "I told everybody it won't sell enough to pay for the expense of going out with the recording equipment," Holland recalls. "That shows how wrong I was." 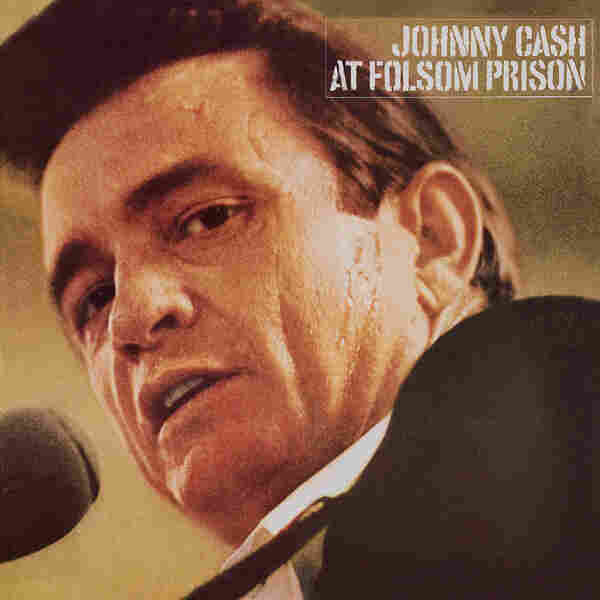 When the album At Folsom Prison was released the following May, it topped the Billboard country charts and Cash's career took off again. He recorded another best-selling album from San Quentin Prison in 1969. Schwoebel says her father continued to perform in prisons around the country and use his celebrity to speak out on behalf of prisoners. "I think it really spoke to his rebellious side," Schwoebel explains. "He really had a passion for standing up for these people who were locked up, you know, and treated so poorly." 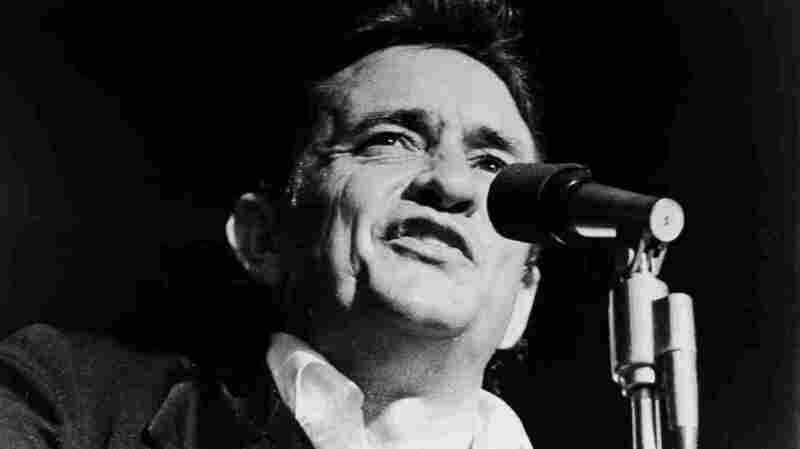 In 1972, Cash testified at a U.S. Senate subcommittee on prison reform. Among other proposals, he called for keeping minors out of jail and focusing on rehabilitating inmates. "Between the attention that he created through his performances and being seated at the Senate, he created a lot more awareness," Schwoebel says. Johnny Cash never saw the transformation he had hoped to see. He eventually refocused his energies on other causes, like helping the families of police officers who had been killed in the line of duty. In the 50 years since At Folsom Prison was recorded, the percentage of Californians in state prisons has nearly doubled. Today, in the cafeteria at Folsom Prison, inmate Andrew Clayton plays guitar as part of a California prison program that provides training in music, painting and other creative pursuits: He's the lead guitarist with Blind Justice, one of the penitentiary's in-house bands. Country music isn't his thing, but he still finds Cash's connection with Folsom inspiring. "Just the fact that he played here, and I'm playing here," Clayton says, "I feel like I'm part of something special."